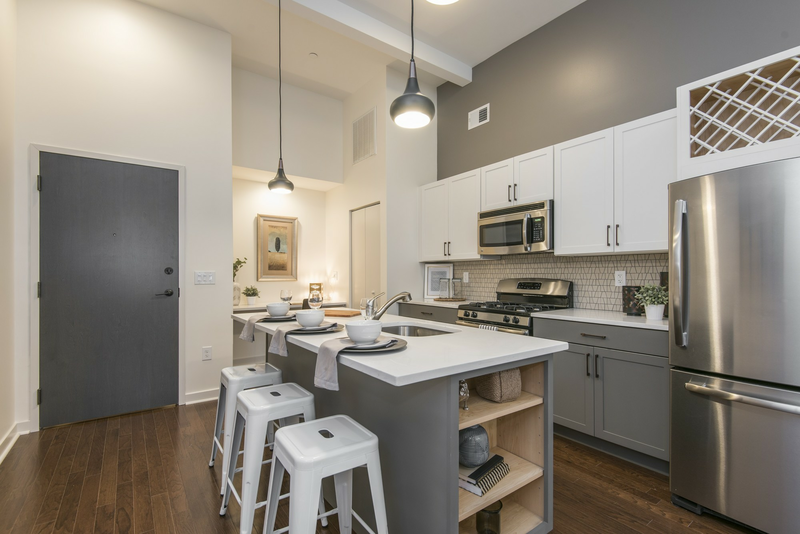 What does $2,100 rent you in Rittenhouse, today? According to Walk Score, this Philadelphia neighborhood is a "walker's paradise," is very bikeable and has excellent transit. Data from rental site Zumper shows that the median rent for a one bedroom in Rittenhouse is currently hovering around $1,590. Here's this one-bedroom, one-bathroom apartment over at 1820 Spruce St., #4F. It's listed for $2,050/month for its 850 square feet of space. In the unit, expect hardwood floors, high ceilings, a dishwasher, in-unit laundry and a walk-in closet. The building is a historic brownstone with secured entry and package service. Pet lovers are in luck: cats and dogs are welcome. The rental doesn't require a leasing fee. Here's a 720-square-foot one-bedroom, one-bathroom apartment at 1700 Chestnut St., #517 that's also going for $2,050/month. Apartment amenities include hardwood floors, high ceilings, a dishwasher, in-unit laundry and a walk-in closet. The building boasts a residents lounge, secured entry, an elevator, a fitness center and a business center. Cats and dogs are allowed. Then, check out this one-bedroom, one-and-a-half-bathroom apartment that's located at 2011 Spruce St., #3F. It's listed for $2,050/month. The apartment features hardwood floors, a fireplace, natural light and stainless steel appliances. When it comes to building amenities, expect on-site laundry. Good news for animal lovers: both dogs and cats are permitted here. Future tenants needn't worry about a leasing fee.